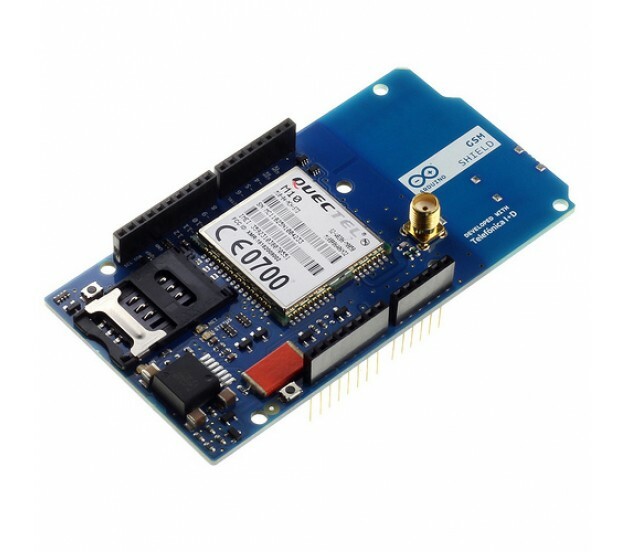 The Arduino GSM Shield allows an Arduino board to connect to the internet, make/receive voice calls and send/receive SMS messages. The Shield uses a radio modem M10 by Quectel (datasheet). It is possible to communicate with the board using AT commands. Use the GSM library to learn more about how to make sketches using one or more of the functions described. 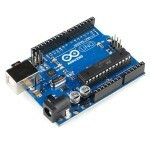 Arduino boards use digital pins 2 and 3 for software serial communication with the M10. Pin 2 is connected to the M10’s TX pin and pin 3 to its RX pin. The modem's PWRKEY pin is connected to Arduino pin 7. 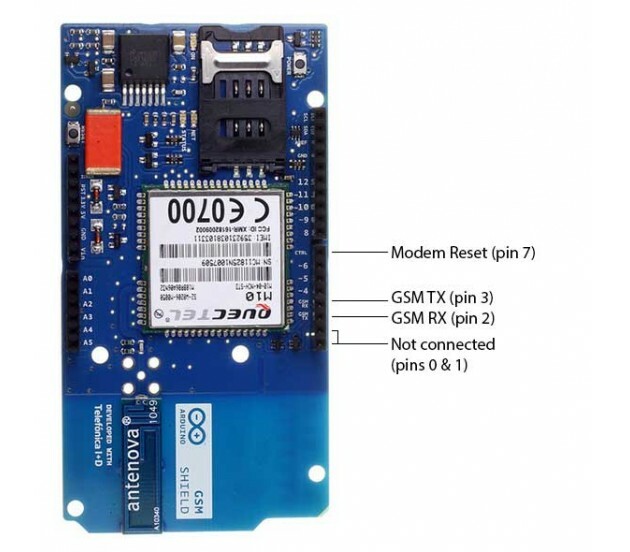 The M10 is a Quad-band GSM/GPRS modem that works at frequencies GSM850MHz, GSM900MHz, DCS1800MHzand PCS1900MHz. It supports TCP/UDP and HTTP protocols through a GPRS connection. GPRS data downlink and uplink transfer speed maximum is 85.6 kbps. To interface with the cellular network, the board requires a SIM card provided by a network operator. See the getting started page for additional information on SIM usage. The most recent revision of the board uses the 1.0 pinout on rev 3 of the Arduino UNO board. 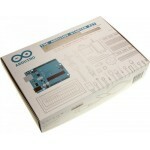 Note: The GSM library is included with Arduino IDE 1.0.4 and later.